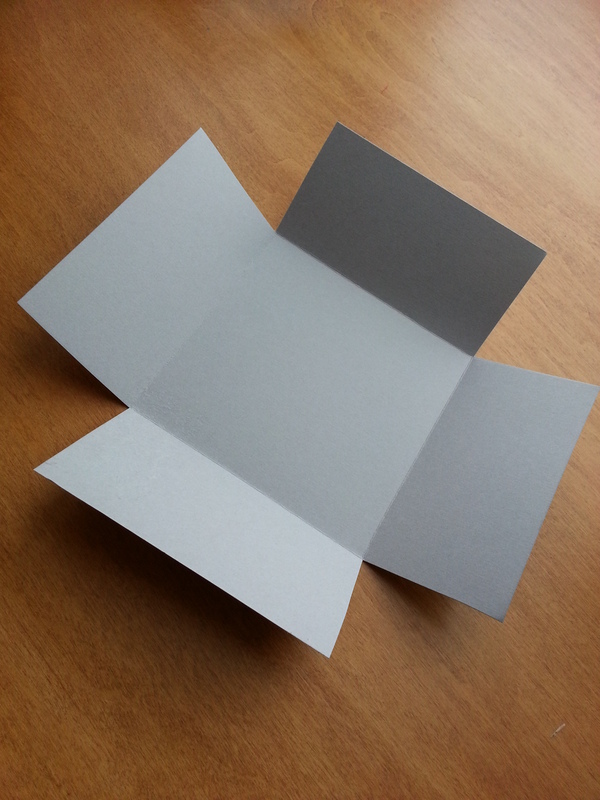 1) Score your 8×8 piece of card stock 2 inches all around. Cut out the squares at each corner and gently fold on the score lines. 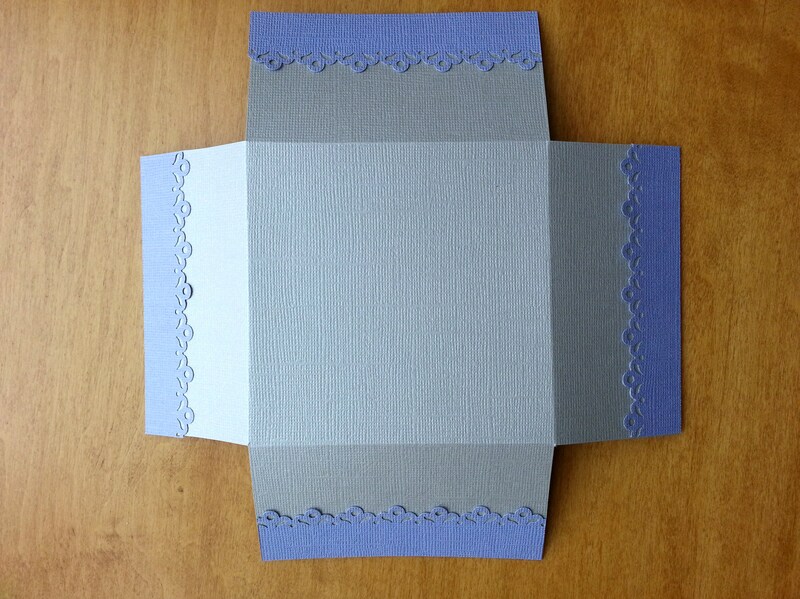 2) Take your 4 strips of coordinating paper, I used a pale purple, and add a decorative punch. 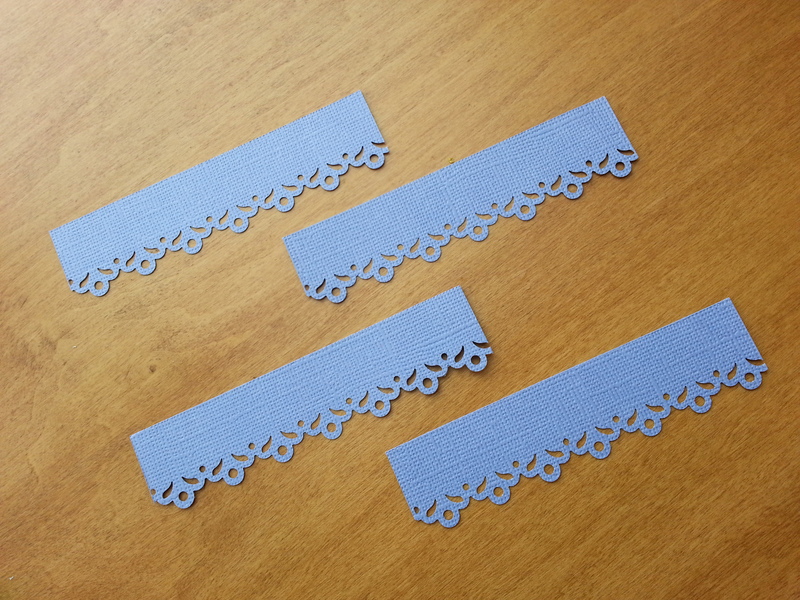 I have an older lace border punch, similar to this. 3) Attach the strips to the top edges of the box as shown and punch a hole in each corner. 4) Next fold on each score line so the sides stand up a bit like a box. 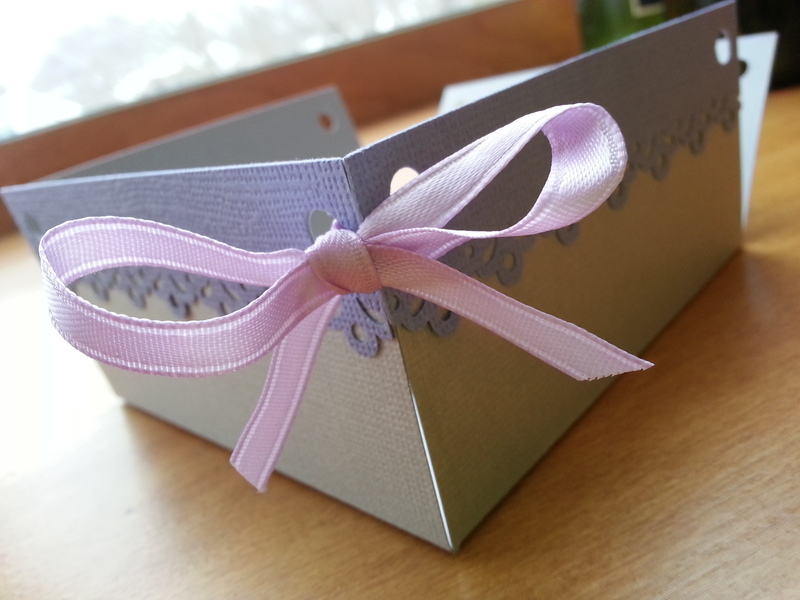 Take a piece of ribbon and run it through 2 adjoining holes to hold each side of the box together and tie a bow. Repeat this at each corner. 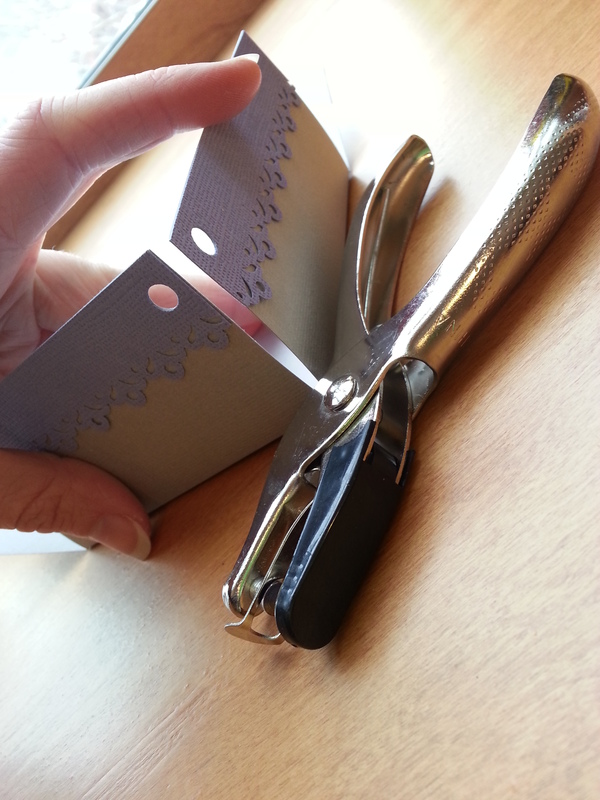 5) Next you will make an embellishment for the front of the box. This can be an embellishment of your choosing. 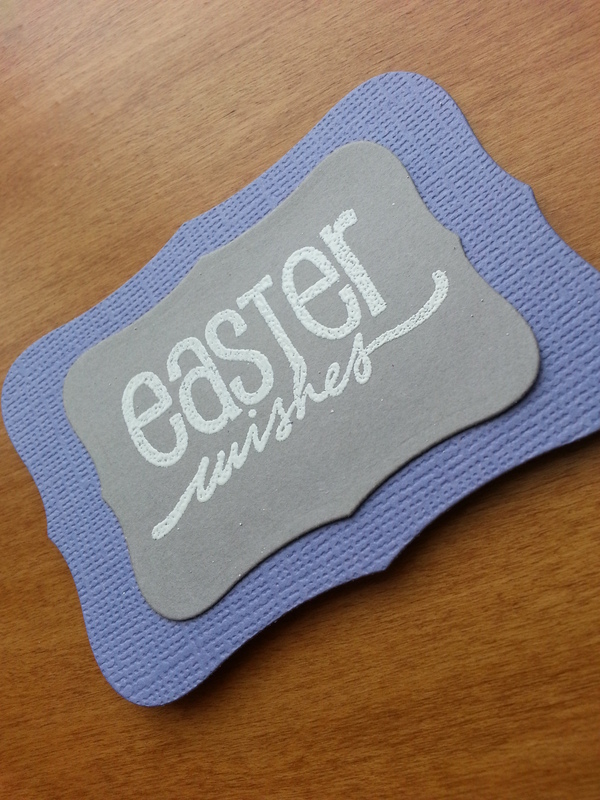 I chose to add a fun embossed Easter stamp. This is in no way a comprehensive tutorial on heat embossing. When I first starting using this technique I watched many videos to help perfect my technique. I would encourage you to do the same. Embossing powder. 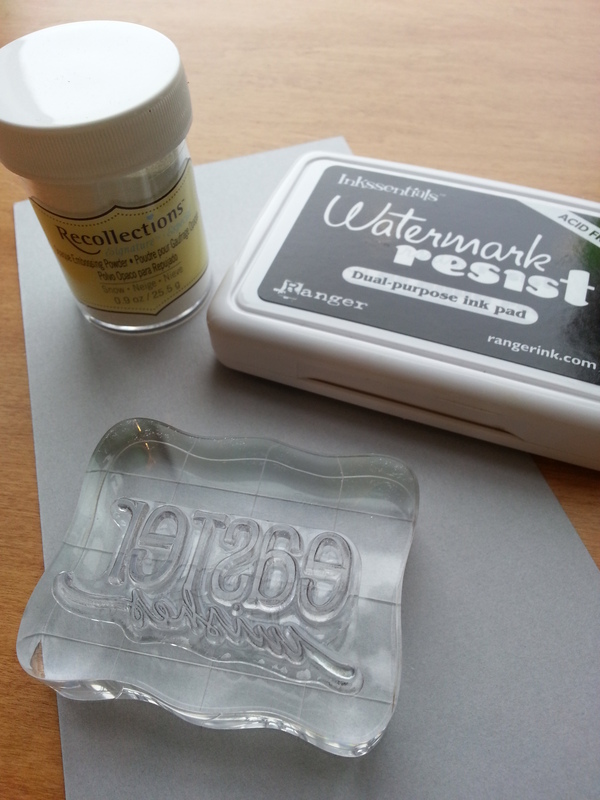 When using clear ink your embossing powder will add the color and texture. 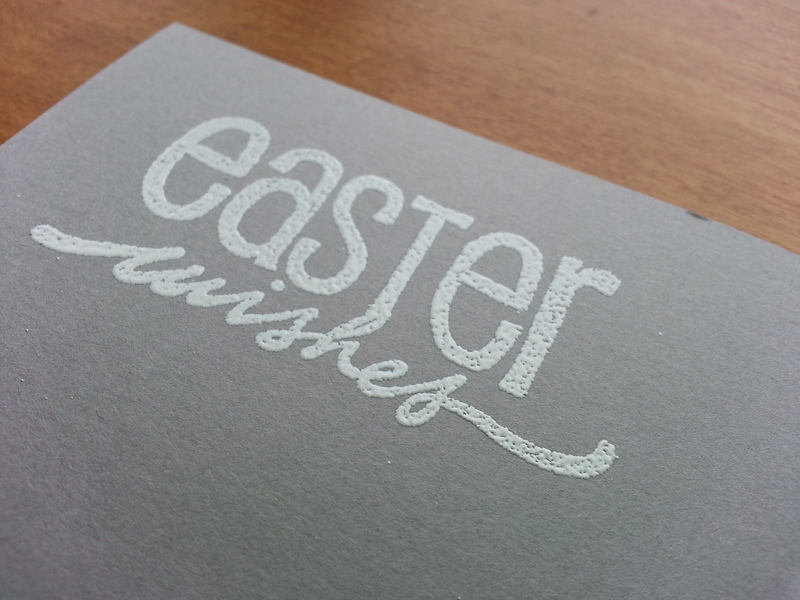 Stamp you image, sprinkle with embossing powder and shake off excess, then heat your image until a sheen appears. This is what you will get. 6) Cut out your stamped image and layer to create your embellishment I used a Spellbinders label die in 2 sizes to create my piece. 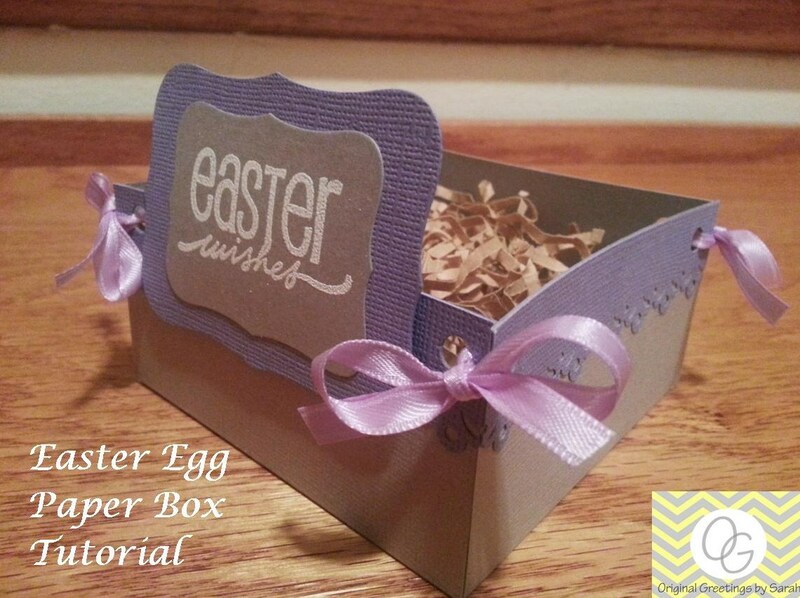 Add dimensional dots to the back and stick it on your box. Done! Tell me, how would you use this box?